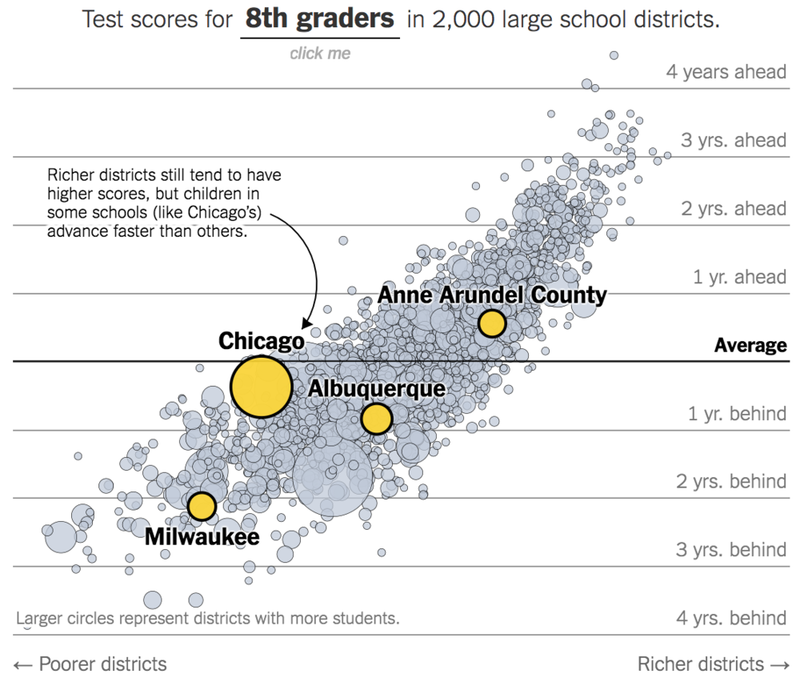 Digging Deep: What Do Districts Grades Really Tell Us? 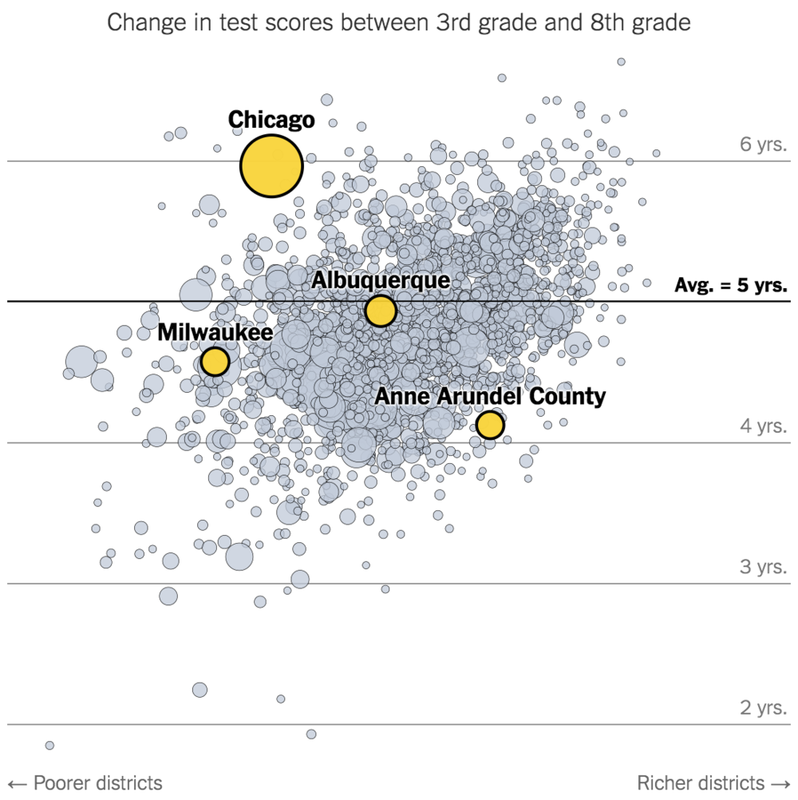 This is the first in a five-part series I'm putting out this week as a follow up to my initial research on district and state charter school grades in New Mexico. On November 28th I put up what became the most visited post on NMEducation.org: “Six Things I Learned From New Mexico’s District Grades”. The response was overwhelming. I received dozens of positive messages including some excellent suggestions for additional questions I should explore. Thanks to helpful feedback from readers, I’ve dug back into the data. Hispanic-Serving Districts Vary Widely. There are seventy-three districts in New Mexico with Hispanic student populations of 30% and greater which include five "A"s, sixteen "B"s, thirty-seven "C"s, fifteen "D"s, and zero "F"s.
In the first analysis I focused only on our 89 traditional districts, excluding state-authorized charter schools. Of course, this strategic omission became topic number one requested by readers. How do state charters fair against districts? How does the socioeconomic status of their students compare? Readers also want to know how socioeconomic status - inferred from free and reduced lunch (FRL) statistics - intersects with district grades? I heard everyone loud and clear. My initial analysis was helpful and left you wanting more, particularly around issues of equity. Using data from New Mexico's Indicator-Based Information System and NMPED, I've done exactly that. Peer pressure is an Achilles' heel of mine. I want to start by giving you an assignment as this analysis must be a collective effort. Using the interactive graph below, find all districts and state charters that received an "A" and which have 50 percent and more of their students eligible for free and reduced lunch (FRL). Use the sliders and filters on the right to aid your efforts. HINT: there are six total. Tweet at me with what you find. Using the same graph, find an LEA near you with an "A" or "B" which serves a student population of 50 percent and more of American Indian OR Hispanic students. Is it a district or state charter school? How many of their students are eligible for FRL? I hope you're getting the hang of this by now. I want this to be a tool you use to find new insights relevant for your own communities. The most frequent question I received was on this topic. Beyond district grades, you want to know how they stack up against state charters. Let's start with the basics. Currently New Mexico has 89 districts and 62 state-authorized charters schools. (These charters are overseen by the elected ten-person Public Education Commission commonly known as the PEC, rather than local school districts.) For our purposes I'm working with a total of 151 local education agencies (LEAs). As you can see above, there are 18 "A"s altogether, with eight traditional districts and 10 state charters. This is promising given state charters make up less than half of the 151 LEAs in New Mexico, and have roughly 16,000 students. Put another way, for every student in a state charter school, there are 20 in traditional districts. For districts, who have 319,769 students, the grade distribution is a clean bell curve with 43 "C"s. Out of this group a mere 1.7 percent, or 5,382 students, attend "A" districts. Meanwhile 22,845 (7.1 percent) students are in "D" or "F" districts. What does it mean for us when less than 2% of students have the opportunity to go to an "A" district? In practical terms this means parents and students are at a disadvantage before ever setting foot in the school. This is known as the "opportunity gap" where many students aren't provided equal opportunities to learn from the start. Schools can never guarantee uniform outcomes (kids have different interests and talents) but ensuring even baseline skills and knowledge is severely hampered when equal opportunities to learn aren't available to all. Also of note is that districts typically have more students eligible for FRL (70.72 to 61.59 percent). Districts also tend to have more American Indian students (25.19 to 9.02 percent) but less Hispanic students (42.65 to 58.56 percent) on average. 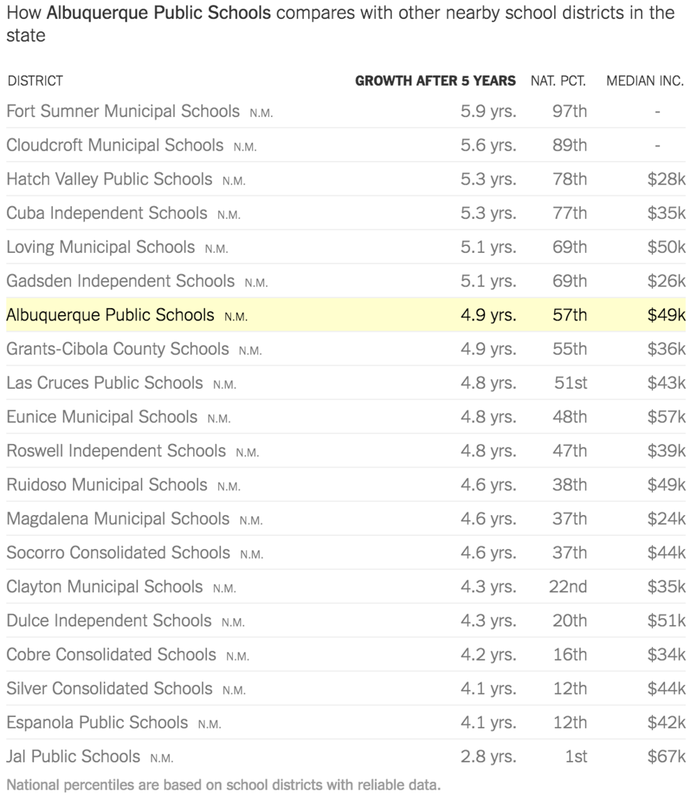 As high-quality charter schools grow in New Mexico we'd expect these demographic differences to smooth out over time. Over the past ten years, depending on region, charter schools have trended towards higher populations of FRL eligible and minority students than traditional districts. 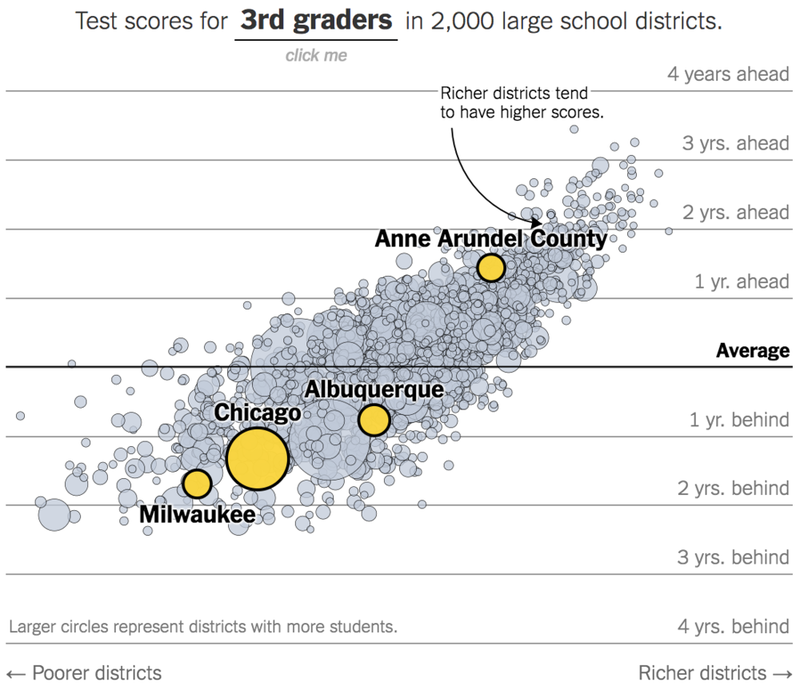 The size of districts appears to have little to do with grade. For the 51 districts with less than 10,000 students, there are as many students (4,742) in "A/B" seats as there are in "D/F" seats (4,183). As we found above, these "D/F" districts have higher concentrations of poor and minority students across the board. What have we learned? Districts still account for more than 93% of New Mexico public school children. This is either good or terrible news, depending on where you live. For us, zip code is still educational destiny. For those who can, choosing where to live is still our primary strategy of "school choice." Next I look at our state charter schools, which seek to even this playing field, providing opportunities to families without the means to change neighborhoods or pay for private school.